Allow me to interrupt my "Japan series" so I can write something about this trip that may or may not push through tomorrow. This all depends on 'Hurricane Irene', expected to hit New York City this weekend. 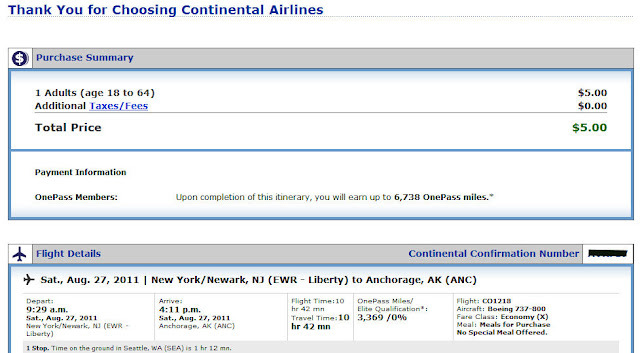 As I write this, on a Friday evening just after work, my Anchorage-bound flight on Continental Airlines has not yet been canceled. Online check-in is still "live". 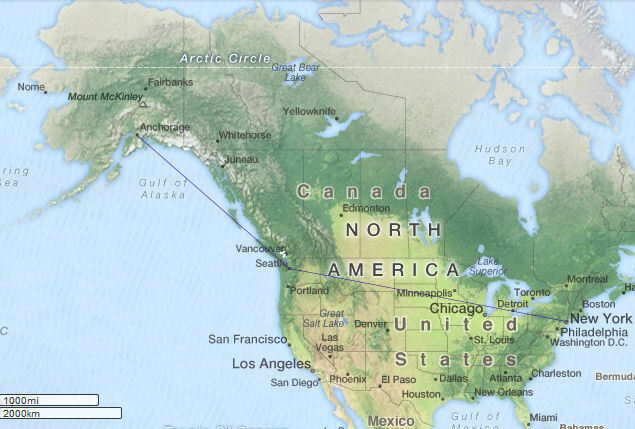 My fingers are crossed that tomorrow, when I hop over to New Jersey on a quick train ride to Newark Airport (my first time there), my plane is waiting and I'll be on my way to the immense last frontier of the United States of America we call Alaska. This trip came out thanks to a free ticket on Continental Airlines. Two years ago, my round-trip flight to India on Emirates Airlines earned me 28,000 miles; which is enough for a free domestic flight within the USA. When I learned earlier this year that Continental will be severing its partnership with Emirates, I sought domestic destinations that will maximize use of those miles. Anchorage, though so far away and not part of the so-called "Lower 48", is still considered a domestic destination. For just 25,000 miles and a $5 tax, I got myself a ticket that normally would have cost me a thousand bucks! Being that this is a reward ticket, it wasn't as easy getting the seat for the dates I want. We're talking here about searches I made early in January this year! Summer was practically blocked - hence I ended up going to Japan on a another free but easier to get seat on American Airlines. One glimmer of hope came when I checked again and found something for August 27. It's almost the start of fall season up north but this doesn't bother me really. It may be colder but that's OK. As we all know, the beauty of "shoulder season" travel means less crowd and less expensive accommodations. To top it off, I got a $52 coupon towards lodging use from hotels.com after having completed their "stay 10 nights, get one night free" rewards program. Tonight, everything's been set: my itinerary, backpack, daypack, sleeping bag, travel insurance, pocket money, the e-tickets. I'm even checking-in after finishing this entry so I can also get a discount on checked baggage. It's now common irritation among air travelers getting charged for checking-in baggage on domestic flights. Continental charges $25 for the first bag, $35 on the second. So whatever discount I can get, I am so getting it (my backpack is unfortunately large enough to be declared as a carry-on). 1. slippers - I always change from shoes to these as soon as I get seated since our feet swell up during mid-flight. It's also not as icky as some passengers walking on their socks to the lavatory! 2. travel pillow - US domestic flights have seen so much cost-cutting on in-flight service, including pillows. They were flimsy anyway, even those used on international flights so I bring one for either head or lumbar support. 3. fleece jacket - Along with pillows, blankets too have disappeared on US domestic flights in coach. I'm not sure if they're washed anyway so I might as well wear my own fleece jacket and free up space in my bag. 4. iPod/book - Anything interesting to listen or read besides the in-flight magazine or the not-so-good in-flight movies will at least make that middle seat feel more decent. 5. ear plugs - When wailing babies or loud mouth seatmates assault my solitude, I find solace on these. Otherwise, the in-ear headphones I use for the iPod will suffice. Since US domestic flights in coach class only have food for purchase (at sometimes astronomical prices), I might as well add food and water to my "survival kit". 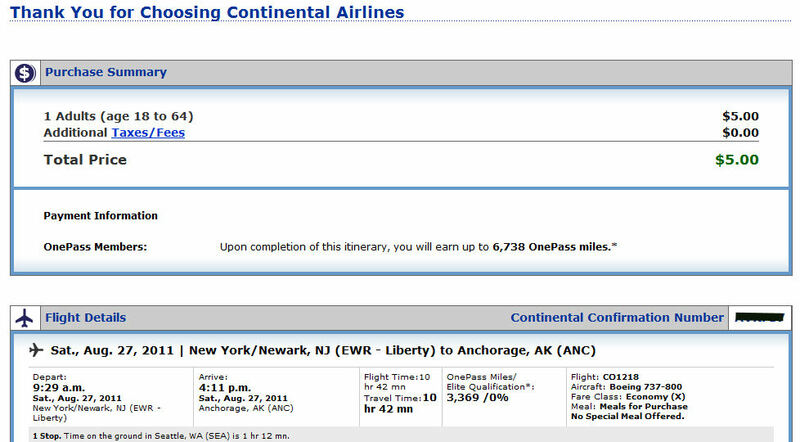 A 10-hour daytime flight to Alaska (with a stop-over in Seattle) is surely going to make me hungry and thirsty. I'll buy something at the deli tomorrow morning. But first, I need Ma Nature to get 'Hurricane Irene' out of the way. Remember how a volcanic eruption in Iceland disrupted my trip last year? wow! cant wait to see photos of alaska. Dennis, my sister who lives in the Inwood area just told me that MTA shuts down by noon, and Irene is supposed to be in the area by around 5 PM. Is your flight before that? I'm crossing my fingers for you, but I also do hope you bought travel insurance that allows you reimbursement for weather-related travel disruptions (something that I only do during winter season travel)! now, please update us whether your trip to the land of the eskimos pushed through. i hope it did. have a safe trip, dennis. enjoy! Be safe and Enjoy!!!! Mwah!! UPDATE 8/27/2011 : Our flight from Newark was one of the last ones cleared to depart @ 9:29AM this morning. After that, all outbound/inbound flights were canceled. I'm now in Anchorage. My hostel has free internet so I'm taking advantage of this since I will be in the wilderness for the next 6 days. I will as soon as I'm done with the Japan entries - backlogged na naman ako nito. aargh! My flight was scheduled to leave @ 9:29AM. When I got to Newark airport this morning, all flights after that time were canceled! glad to say I made it to Anchorage, so yes, the trip has pushed through! Thanks dear friend. See you when I get back. daghang salamat pag-umangkon nako. hehehe. Salamat. I will have a great time! lovely trip. can't wait to hear all about it. Oh my gosh, awesome! 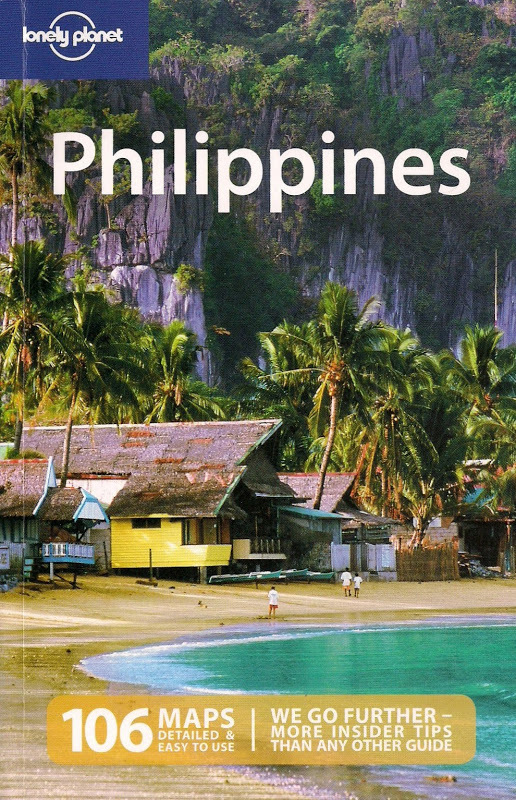 The Nomadic Pinoy is now 'into the wild'. Can't wait for the kwento! I'm finally back. It's hard to do blog updates when you're traveling, especially in a wild place like Alaska - arguably the world's biggest playground for those who love the outdoors!